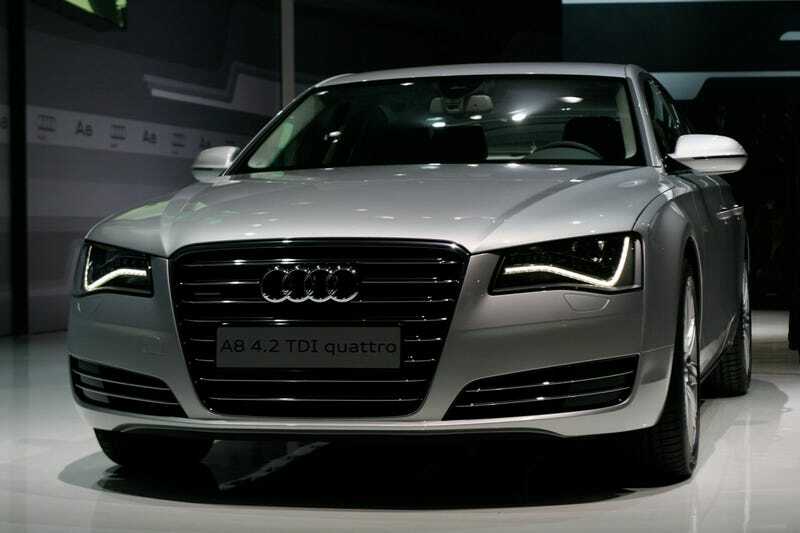 The 2011 Audi A8's finally been revealed live here in Miami and it's got an absolutely gorgeous set of new eyes along with new body panels and a 4.2-liter TDI engine. The new aluminum und shteel live in person below. We're uploading photos right now. Give us a second and refresh and we'll have them here momentarily. UPDATE: Here's the live photos! o 19 speakers, 19 channels and more than 1400 watts of B&O-patented ICE-Power output for a theater – like sound experience (previous 2004-2010 D3 A8 had 1000 watts in the B&O system).